“The Secret Place,” from Glory to the Holy One, is based on Psalm 91 and expresses the superlative comfort of safely dwelling “in the secret place of the Most High” (Psalm 91:1), where there is “no better place now for us to dwell.” Indeed, “no greater comfort can He afford” us than to belong to Him (Heidelberg Catechism No. 1), communing in His presence, feeding in His pasture, trusting His promises, thankful for His provisions, and secure under His protection. “The Secret Place” prompts us to examine our hearts. Can we, by God’s grace, truly say of the LORD, “He is my refuge?” Are we “at home in God” (Matthew Henry), trusting Him, calling upon Him, and seeking refuge under His wings “where our praise will forever ring?” Do we “habitually reside in the mysterious presence” (Charles Spurgeon) through His appointed means of grace? Are we abiding in Christ (John 15:4), who alone is the source of our comfort? 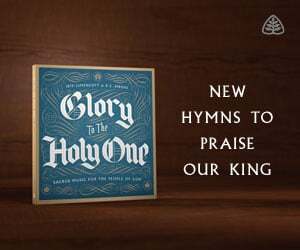 Note: If you buy the CD from Ligonier.org, we will add the digital edition to your learning library for free. Randall Van Meggelen is chief musician at Saint Andrew’s Chapel in Sanford, Fla., and provides direction for the church’s various music ministries. He is a graduate of Covenant College and Concordia University.